The Wisconsin Legislature ended its 2009-2010 regular legislative session early this morning -- not with a bang, but with a whimper regarding campaign finance reform. It failed to pass legislation to require the disclosure of the amount of money and the donors to outside special interest groups who run those nasty campaign communications masquerading as issue advocacy which increasingly dominate our statewide and legislative elections in this state. 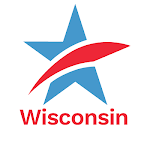 In January, the Wisconsin State Senate overwhelmingly passed Senate Bill 43, bipartisan campaign finance reform legislation requiring disclosure of the donors and regulation of the money utilized by outside special interest groups and individuals that run widely-disseminated campaign communications masquerading as issue advocacy during the period of 60 days or less prior to an election. The Assembly needed to modify the measure somewhat in the wake of the January 21st United States Supreme Court decision in : Citizens United v. Federal Election Commission. But it never got done. Even as late as this morning, after the State Senate adjourned for the session, the Assembly could have brought Senate Bill 43 to the floor and passed it (and those parts of the legislation rendered unconstitutional by the Citizens United decision would have been excised from the law). But the leadership declined to do so. And so disclosure of phony issue ads didn't get considered or passed. Governor Jim Doyle, who has been a consistent vocal supporter of requiring the disclosure of phony issue ads, should call the Legislature back into Special Session to finish the job and pass a modified version of Senate Bill 43. Senator Jon Erpenbach (D-Waunakee), a long-time leader on this matter, has draft legislation ready to be considered. It could be accomplished by both legislative chambers in less than an hour. Assembly Speaker Mike Sheridan (D-Janesville) and State Senate Majority Leader Russ Decker (D-Schofield) also have it within their power to call the Legislature into Extraordinary Session to pass a modified version of Senate Bill 43. Doyle, Sheridan and Decker need to show leadership on the issue of issue ads. Will any of them step up to do so? Special or Extraordinary State Legislative Session Needed for Campaign Finance Disclosure ReformTweet this!